When water (sea, brackish, fresh) comes in contact with man-made solid surfaces, such as conduits and pipe work of an intake water system, surfaces are colonized by living organisms in standard patterns. Macro fouling, shell type organisms like oysters, mussels and barnacles. 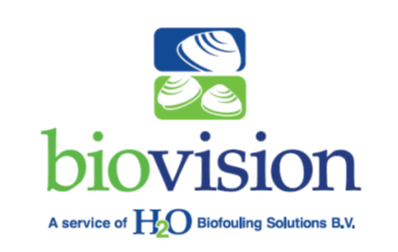 To provide operators real time insight insight in the risk of biofouling settlement within the water system, H2O BFS developed Biovision service. This provides real time biofouling monitor system to achieve an early warning for biofouling build up in the system. H2O has developed a monitor called the Biovision MonitorTM which can be installed at a critical spot in the service water system, e.g. in front of the heat exchangers. The monitor contains of five fouling coupons and can be connected as a bypass to the water system. The monitor is designed to create a range of water flows and turbuences along the fouling coupons which cover the flow range and turbulences normally occur within a water system. The fouling coupons inside the monitor can be made of the same materials as the water system of the plant, it provides a representative, real-time image of the actual situation inside the larger water system. The Biovision Monitor™ provides the operator an early warning system to identify any risk of biofouling settlement. 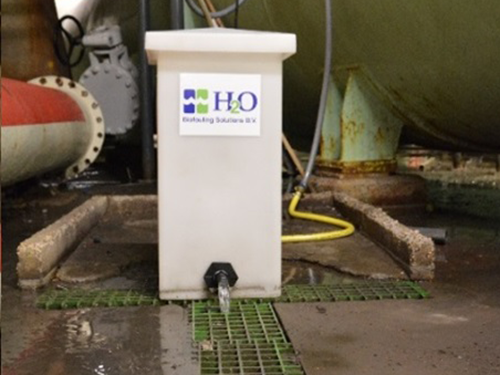 This industrially-proven monitoring system provides the operator with the capability to identify vulnerable materials on which, and flow rates at which, biofouling may be occurring within the system. Operation is simple: the monitor is connected as a bypass to a process line (such as the seawater service system) at a critical spot. Plates of different materials (called fouling coupons), selected to represent actual flow and environmental conditions within the larger system, are installed inside the monitor. These coupons are periodically and visually inspected for biofouling settlement. Monitoring of biofilms is particularly important when water treatment is the primary approach to prevention of micro-organism settlement, biological scale accumulation and MIC. To monitor the activity of these sessile organisms an electrochemical biofilm activity monitoring system has been developed to monitor biofilm activity on-line and in real time. It has been shown to be effective for predicting biofilm activity on-line and as a continuous measure of biocide effectiveness. Because of the fact that the growth of micro-organisms is stimulated on this probe, the system provides an ‘early warning’ so that immediate action for preventing biofilm formation in the seawater system can be made when treatment proves not efficient. 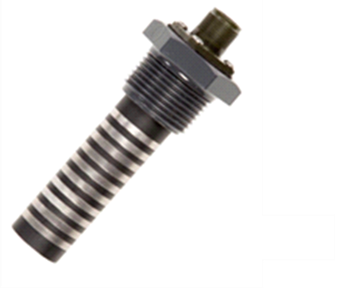 It provides the system engineer, water chemist, or maintenance specialist with a powerful tool for planning inspections, for scheduling on-line or off-line cleaning, or for adjusting the timing and dosage of water treatment, and most importantly avoiding biological scale accumulation. Training to local staff for system operations and data collection. With our team of some of the most experienced biologists in the world having implemented hundreds of Biofouling control systems across the globe we can offer an expert review of the fouling as observed on the fouling coupons. The service is provided based on photo images of the fouling coupons of the biovision monitors and data interpretation from the biofilm probe monitor. 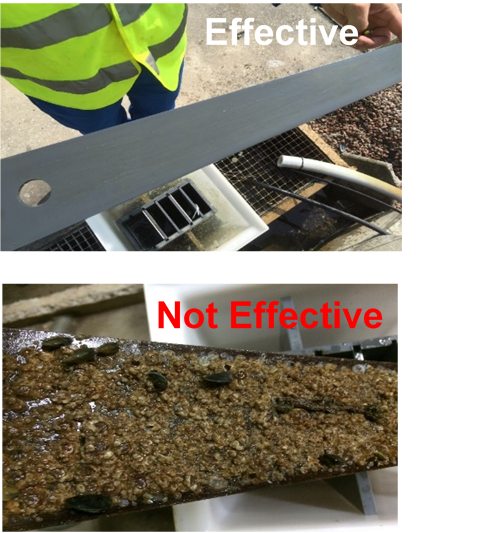 Our experts will advise on the effectiveness of the fouling control and what actions can be taken to increase effectiveness if required. 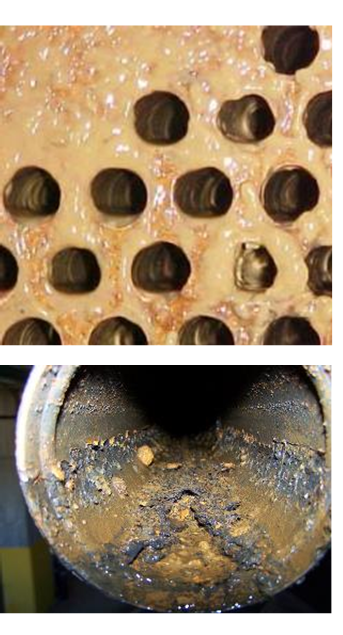 Optional: yearly report of the results of the applied biofouling control procedure. Companies biocide dosing specifications can be included. This type of report is also be used towards water authorities to compliance to discharge permits. This service will provide expert assistance for operators to maintain an effective biofouling control.